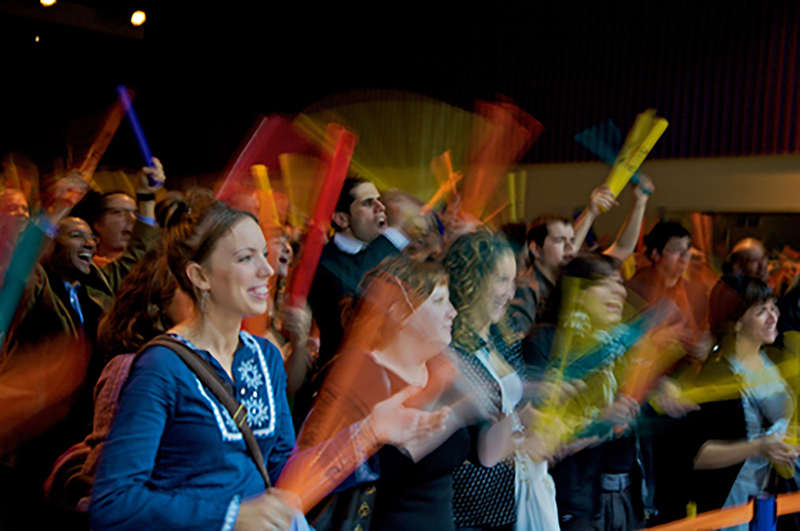 Boomwhackers are brightly coloured plastic tubes that are tuned by length to musical notes. A great way to expand your musicality, boom-whackers are a wonderful follow-on from drumming as they introduce melody. When hit on the hand, each colour boom-whacker produces a different tone, with five different tones in total. We split the group up according to colour of boom-whacker, and within a few minutes, the group will be making music together. To begin, the facilitators split the participants up into colour groups, and then give each group a different rhythm to play. These intertwining rhythms come together to produce a melodious musical composition and the group is taught to make music as one. Before you know it, your group will be making music together, resulting in a strong feeling of unity and team building.